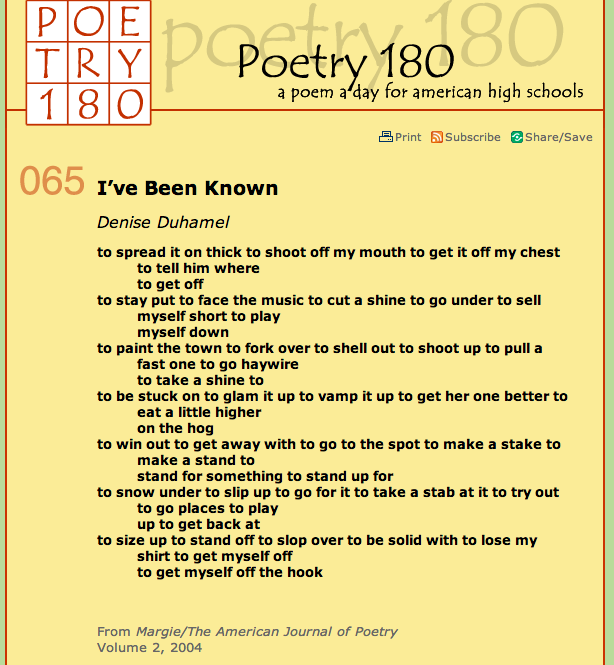 Do you subscribe to Poetry 180 through The Library of Congress? It’s probably the single most valuable thing I’ve done as a way to remind myself to use poetry in my AP English Language and Composition class. We read and write many an argument. I often forget about the poetry. But I read a poem every day. You can, too. Sign up for a poem in your inbox here. Some days it’s a natural fit to incorporate the poem into my lesson. Some days it’s a little more complicated. Some days I don’t even try to make the poem fit — we just enjoy the language.